Home > Career Progression > Would I Make a Good Accountant? Whether you’re trying to choose a career for the first time, or you just fancy a change from the old routine, you’ll want to do your research. Have you ever wondered what it would be like to work as a chartered accountant? We dragged one away from his spreadsheets to find out what it takes. The role of a chartered accountant is to maximise profitability, working strategically within industry or with clients. A chartered accountant might specialise in a range of areas, including accounts preparation, audit, tax advice, tax compliance, corporate finance, general business advice and consultancy. What Sort of Person Makes a Good Chartered Accountant? Aside from the obvious need to be good with numbers, there are some characteristics that will stand you in good stead. In accountancy the devil is definitely in the detail, so you'll need to be analytical and methodical in your work. An ethical and honest approach goes without saying, and excellent organisation skills are a must. When building reports and identifying trends, having an investigative nature is helpful, and self motivation is an advantage when working on individual projects. If you work in public practice you’ll have extensive client contact, so being able to build and maintain good relationships is a necessary skill. I’ve Got a Degree in English; Can I Still be an Accountant? Yes, you can. Your degree does not have to be in maths! Following a degree education you’ll need to embark upon ACA training. Lasting for at least three years, the ACA or chartered accountant training will take place ‘on the job’ while you work for an approved employer. Combined with college attendance and exams, the ACA training syllabus covers the main elements of accountancy, including tax, audit and law. Chartered accountants might work in public practice on behalf of clients, or within industry or public sector. In public practice the emphasis is on maintaining and building client relationships and providing financial advice and guidance. Within industry the role focuses on the financial conduct of the employer’s business, rather than any external parties, though you might handle relationships with suppliers or auditors. In a public practice career development is often structured, so you’ll have a clear career path to follow. Outside public practice, career direction is dependent on the company, but whichever option you choose, there is great scope for development reasonably quickly. 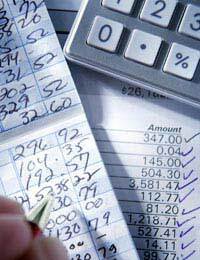 If money is your motivator, accountancy is a good career for you. Earning potential is good, and even starting salaries can be impressive. Six figure salaries are easily achievable at the highest levels. Will the Hours be Long? A chartered accountant is likely to work standard nine to five thirty hours, but extra commitment will be expected in the evenings and even at weekends when deadlines loom. Month and year end tend to be busy times, and if you work in public practice you’ll be expected to fit in with client expectations. Research shows that accountants tend to be happy with their lot, but before you decide upon a career as a charted accountant it’s a good idea to get the lowdown from someone in the know.